And I will forever cherish the time I Skyped the one and only, unforgettable Leonard Nimoy! May he rest in peace. I have met some amazing people in the past year including Tim Russ (twice! ), Larry Nemeck, the guys from The Engage Podcast and Star Trek Risa, Mike and Jon from VisionaryTrek, Alan Stuart, to name but a few, and some of whom I am still in contact with. More than that, I even consider them ‘friends’. 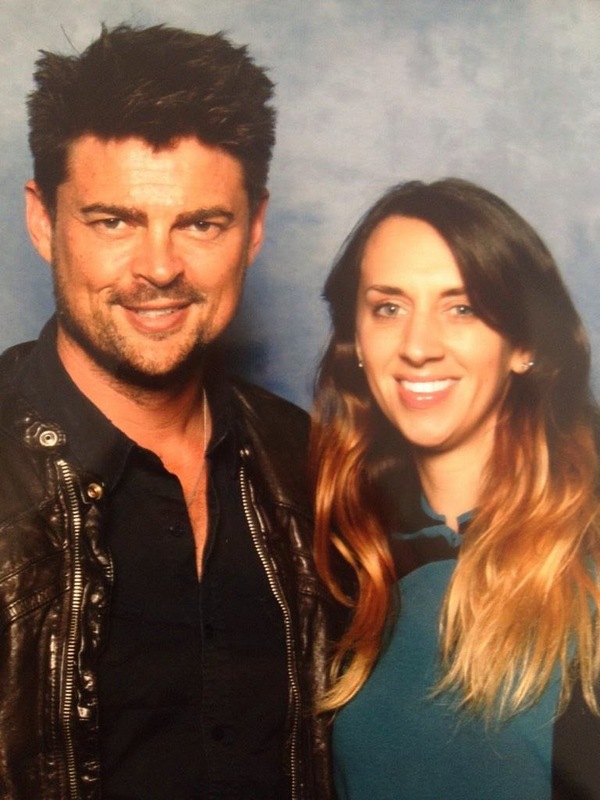 I attended my first Comic Con (LFCC), and then of course, there was the SF Ball in February, where, sadly a Carole down, Sam and I got to interview the incredible Robert Duncan McNeill and Manu Intiraymi – a fact I still pinch myself of everyday!! I can’t believe how excited I am to reach DS9. 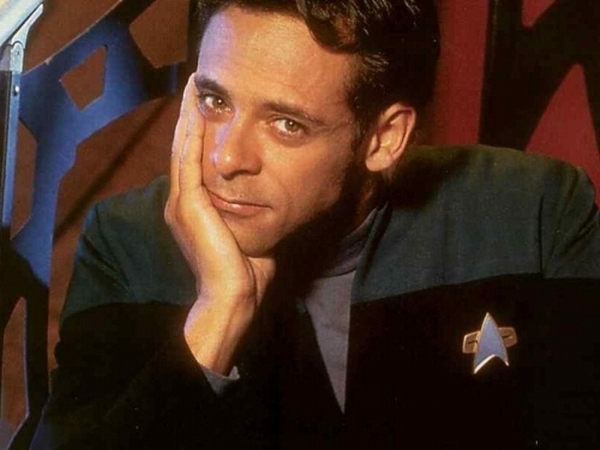 It was genuinely a series that never sparked my interest before, but now, over halfway through TNG, the anticipation is definitely building – I need to see what all the fuss is about over the Alexander Siddig guy?! I’m sure the next year is going to bring even more experiences that, believe me, I am truly humbled to be a part of. And no, I’m afraid I don’t know what the big Showmasters announcement is – I’m just as excited as you all are to find out!! The suspense is killing us!! I know there are a lot of Trekkies/Trekkers that would love to be able to experience the things that I have in my relatively short fandom, I don’t take any of it for granted and love sharing them with you! 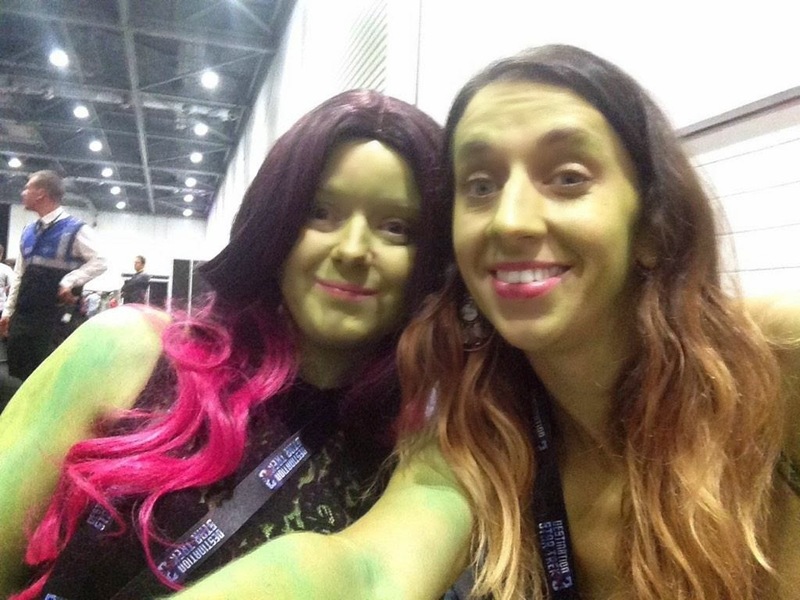 From assigning me to the “away missions”, to including me in the vlogs, from the very beginning Sam and Carole really made me feel like part of the team, an honorary TrekkieGirl. I love these girls with every fibre of my being, they are the best friends a girl could wish for. I was at that very convention it was my first and has been the only one I have been to so far. 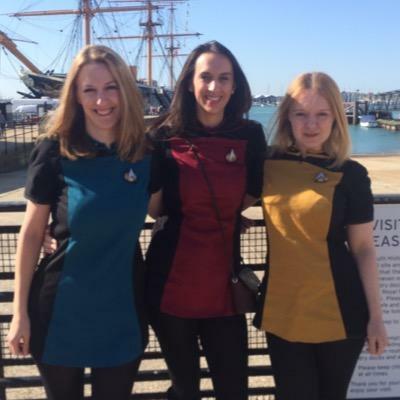 I got my picture taken with the beautiful Jeri Ryan and went to the TNG reunion on the Saturday I even got told to stay away from William Shatner with my red shirt on even though it was in fact a mock up of Captain Picard’s dress uniform.